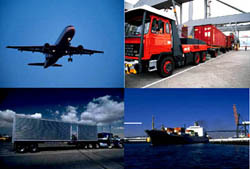 Logistics is a very vast field that provides you with various career opportunities. Here, some tips regarding logistics resume writing and samples are provided. Using these tips, you can prepare your job winning logistics resume. In this field, one is responsible for managing the supply chain and ensures the smooth supply of various. Logistics field also handles personnel management in order to meet customers' requirements. There are logistics jobs in defense field too. Logistics department in defense manages safe transportation of arms, ammunitions, jets and fighter tankers. However, in order to get a job in defense logistics department, one should be highly qualified, physically as well as mentally fit and energetic. Here we are helping you on how to create a winning resume for seeking a job in the Logistics field. While preparing a Logistics resume for defense job as well as a private firm job, you should keep certain points in mind. Your resume should include key terms like objective, work experience, educational details, professional training and achievements. Your resume should reflect your talents, skills and knowledge. With the help of your resume, you should be able to convince potential employer that you are an ideal candidate with complete expertise. As your resume is like a photograph of your whole expertise, education, skills and the knowledge. You need to take every possible care while preparing your resume. Following are the sample logistics resumes that will assist you while preparing your resume.